It happens occasionally doesn’t it? 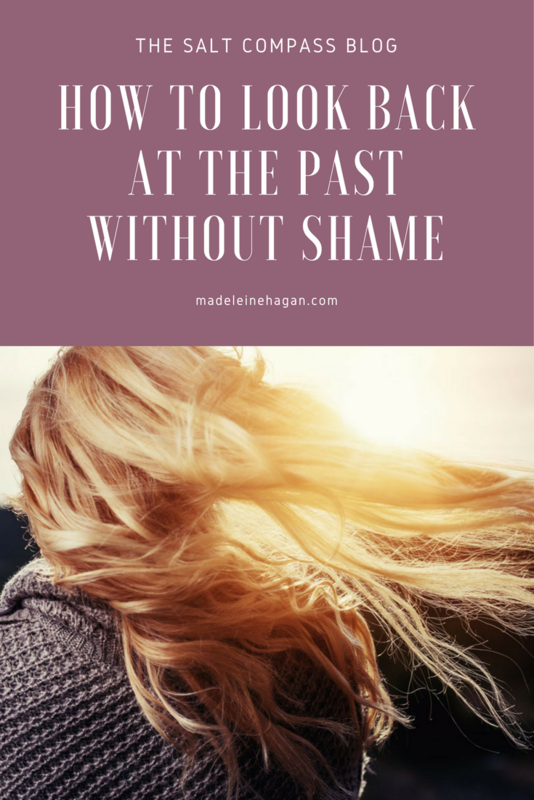 The past creeps up on you and the enemy uses it to remind us of how ashamed we should feel and how condemned and unworthy we are. Let me just say two things. One: Those are LIES. And you do NOT have to listen to them. Guilt serves one purpose: To drive us toward repentance at the feet of our Savior. Guilt says, I made a mistake. Shame however, says I am the mistake. And it has no place in our hearts, minds, and lives because Someone disagreed with that statement so much that He died to prove it wrong. Ladies, how many times have we daydreamed about the idea of a knight in shining armor who comes to our rescue? We want to know there’s someone who would come to our rescue when we need them, someone who will always be there. Well, we have a champion that crossed the gap between heaven and earth to reach us. He won’t let something attack you without jumping to your defense at your call. We can try to fight everything off on our own, things like our shame, our unworthiness, and our failures. But we can only keep those things away in our own strength for so long. Our Savior hates when those things come back out of a past He already forgave us for and cause His children pain. He already died for them and will fight it off for us with his bare, nail-scarred hands because we are pure and blameless in His sight and worthy of defense. Worthy of care. He doesn’t fight for us in ways we might expect though, with power and might and justice, slaying our monsters for us. He fights for our hearts with love and mercy. He holds His arms open wide and waits for us to crawl into them. He sings our identity (loved, chosen, forgiven) over us until everything that contradicts those identities in our minds are stripped of their power and we are invincible there. We have to look to Him to receive His help. He won’t just show up where He’s not wanted. When we are attacked with things like our shame, our unworthiness, and our failures, God will not hesitate to wrap His arms around us with His love, His presence, His reassurance, and His pleasure in us washes it all away bit by bit. He’s never going to push you away. He’s never going to say your worth is somehow less because of “not so ideal” mistakes you’ve made before. He’s not going to rewind to those mistakes over and over and compare who you were then with some perfect girl He wished you were. He won’t hold those mistakes over you. They are completely forgotten. That’s part of being forgiven. You are blameless. SO. If we stand before Jesus as 100% Loved and 100% Forgiven, guilt and shame have no place there. And if they have no place in our lives in the presence of Jesus, they have no place in the presence of anyone else either. Jesus sees you blameless, so anyone else who disagrees with that is the one with the inaccurate view. Let’s leave the past in the past. If you do decide to look back, do so in the loving arms of your Champion as He shows you how much you’ve grown since then.